“Free” nomadic cargo bikes are changing the urban landscape - wielebenwir e.V. The idea is simple: A cargo bike, free to use for all citizens. If you choose to, you can make a donation which is used for repairs and the server costs, but it is not mandatory. 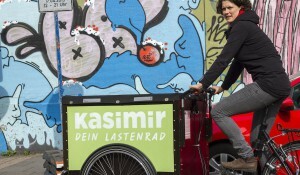 KASIMIR and other “Free cargo bikes” are born out of the idea of sharing resources, but also try to change the way we transport goods in the city. For wielebenwir, the project quickly expanded from the management of the bikes in cologne to support a rapidly growing network with tools, knowledge and consulting – including the development of a open-source booking software, a conference, and a online knowledge database (WIKI). Hannes Wöhrle: “This project is about sharing, not only the bike, but also the underlying concept, the how-to, from marketing to insurance”. Apart from creating a highly recognisable, attractive “brand”, wielebenwir also implemented a simple registration and booking process – based on trust. The booking is handled online, after registration on Kasimir´s Website you just pick a date on the booking calender, and are automatically sent a code. Go to KASIMIR´s current station, show the code and your ID, and off you go. The software that powers KASIMIR´s online-booking was developed by wielebenwir and is now being re-written as a open source WordPress plugin. Stations like cafés, shops and community centers host KASIMIR and handle the keys without monetary compensation, but will get lots of new visitors in return. The concept is so attractive that some of them are even considering buying their own cargo bikes. From the very start, the feedback has been very positive, both from press, users and stations. But it were the requests from initiatives all over Germany and Austria that really expanded the projects’ scope, prompting wielebenwir to establish new tools and networking platforms – all in the spirit of the open source community. 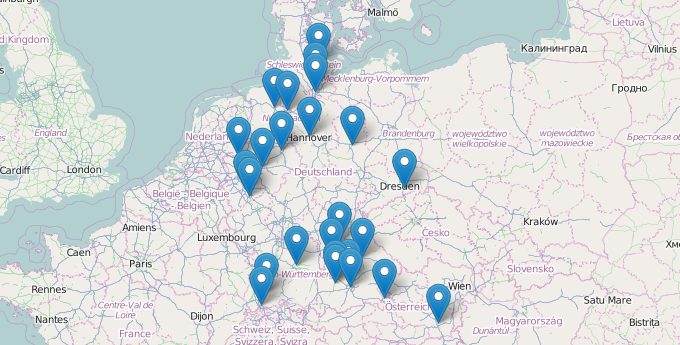 First, there´s dein-lastenrad.de, a online WIKI serving both as a directory of initiatives and a knowledge database. “Forum Freie Lastenräder” (June 20th 2015 in cologne) is a conference for exchange, workshops and talks about “free cargo bike” projects. Initiatives interested in starting or already running a project are cordially invited. Attendance is (of course) free of charge. From the beginning, the custom booking software developed for Kasimir was a common request. 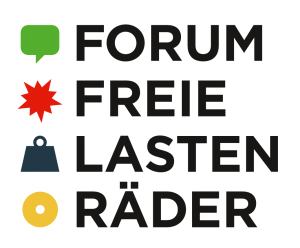 A complete rewrite is currently in the works, it will be released as open source software in time for the “Forum freie Lastenräder”. “We are extremely thankful for all the attention and support that our little cargo bike project has enjoyed since the very beginning” says Wöhrle. The bike was never stolen or willfully damaged, and the network continues to grow. “Two years ago, we put trust in the concept, and trust in the citizens of cologne. 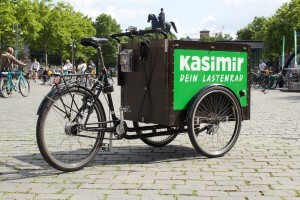 We are very happy how it turned out, and will continue to work on and develop new actions to support and expand both the KASIMIR project and the free cargo bike network”. “wielebenwir e.V.” is a cologne-based non-profit association that develops and runs multi-disciplinary projects around urban culture, sustainable transportation and the sharing of both material- and immaterial goods. This is a wonderful idea. I have been a bicycle advocate, how can I get information about this to suggest in my area? thanks! Right now, all other information about the projects is in german only. But if you have any questions i would be happy to answer – use my email (see above).